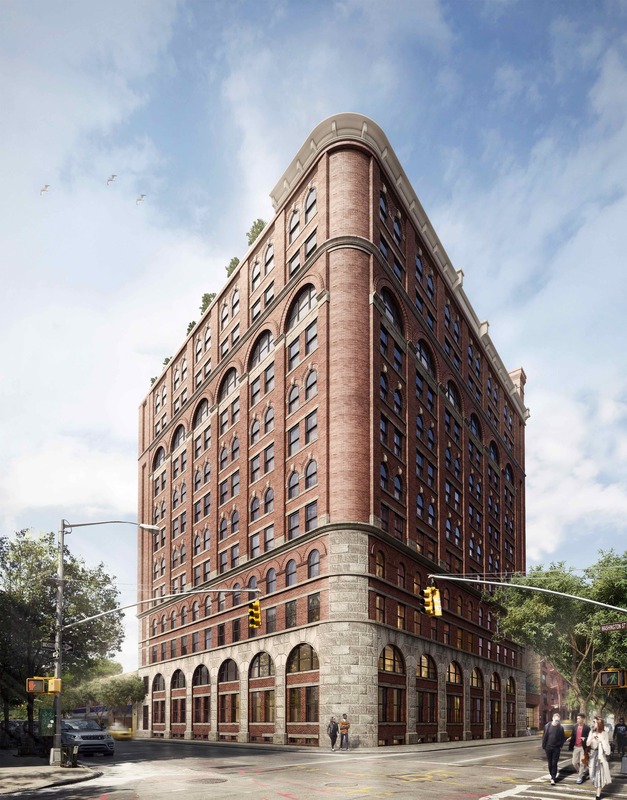 Developers are now making curated libraries a standard amenity in Manhattan’s boutique condominiums. 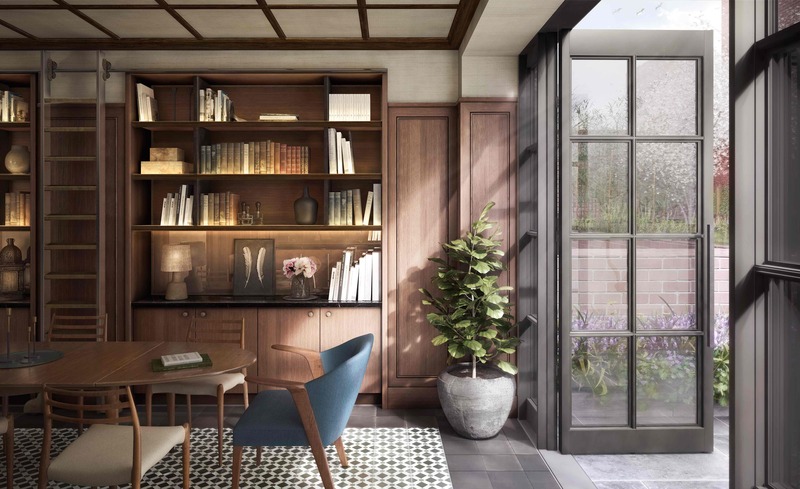 On the other side of town in the West Village, The Shephard, a residential building by Naftali Group, features a paneled library curated by book publishers Prosper and Martine Assouline. The library includes rare and unique objects, including an original drawing by Santiago Calatrava, as well as books covering travel, style, and the culinary arts. 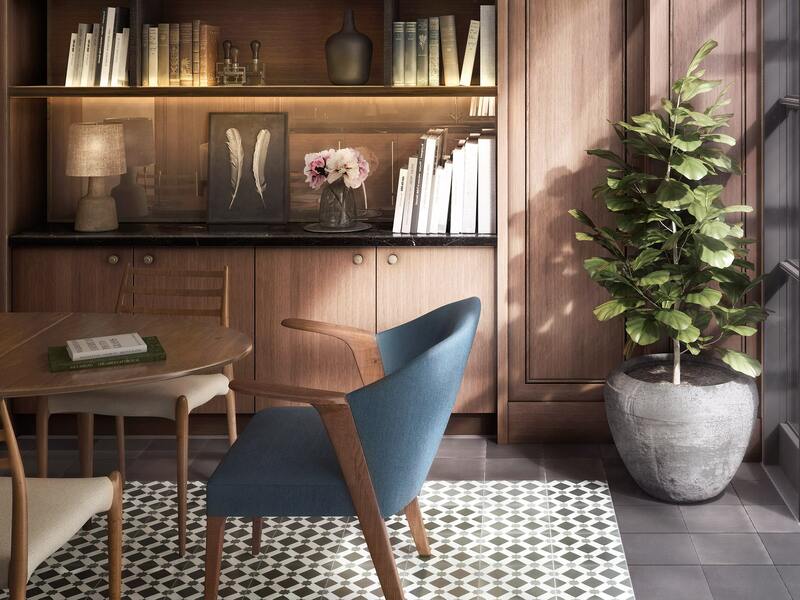 The interior of the library was designed by husband-and-wife team Christine and John Gachot of Gachot Studios and according to Naftali’s representatives, the library was of singular importance in the initial development plans for the property.